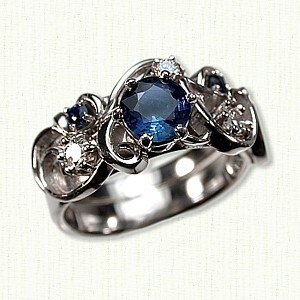 Sapphire is the non-red variety of corundum, the second hardest natural mineral known to mankind. 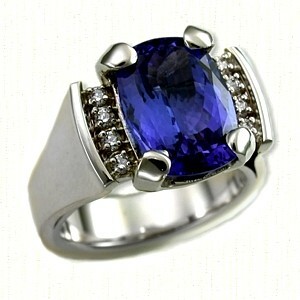 Sapphire, a variety of corundum, comes in all colors except red, with the most popular being deep blue. Rare orange, pink and lavender varieties, along with rich velvety blue are the most expensive. The red variety of corundum is Ruby. 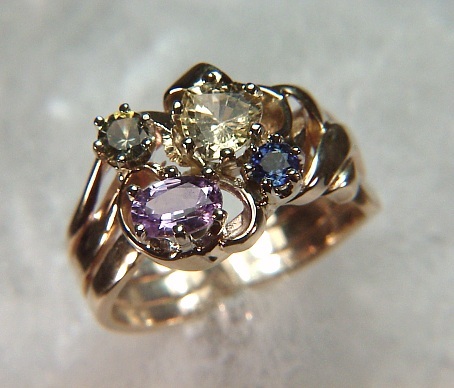 The blue color is by far the most popular color for sapphire but orange-pink, golden, white, and even black have generated much interest in the gem trade. 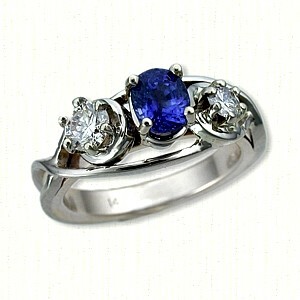 Like the Ruby, the sapphire is second only to the Diamond in hardness. 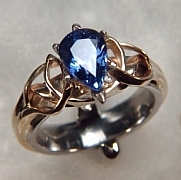 At old times sapphire jewelry was reported to be an excellent all-purpose medicine; an antidote against poison and having the power to stop bleeding and cure disorders of the eye. 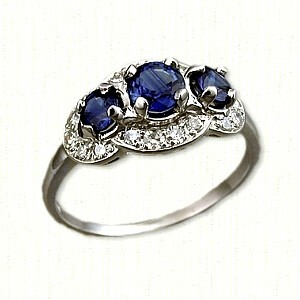 Sapphires were considered to be so powerful they continued to protect the original owner even after being sold. 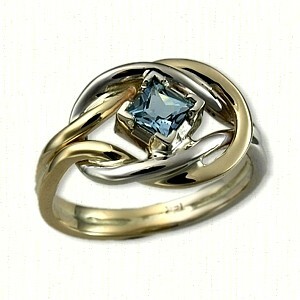 Ancient marriage partners had great faith in the stone, believing it would not shine if worn by the wicked or impure. 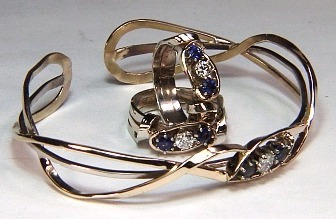 Sapphire is the birthstone for September and the gemstone for 5th and 45th anniversaries. They are found in Sri Lanka, Australia, East Africa and Southeast Asia. 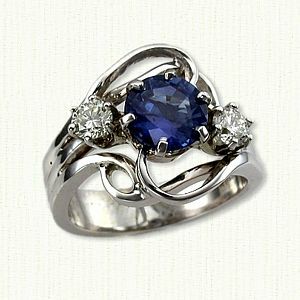 Handmade two tone Celtic engagement ring with an 14kt yellow gold shank & platinum knotwork set with a 1.16ct pear shaped sapphire.